Komox or Comox, and “dog”? 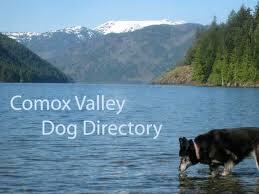 Sometimes people familiar with Vancouver Island, BC, wonder if the name “Comox” is a spelling of Chinook Jargon’s word for “dog”. Comox is a town on the north-central coast of the island. This is also one of the names that’s been used for an ethnic group in that area who speak a Salish language. My understanding is that “Comox” is a word from the neighbouring and unrelated Kwak’wala language, a.k.a. Kwakiutl. Locally there is a K’ómoks First Nation who are historically Salish but now culturally Kwakwaka’wakw (Kwakiutl people). Andy Everson is a member of that FN who writes a good blog. Apparently it’s a place name, which was extended to refer to the people of that area, and to the local language. That language has been called Island Comox, Homalco-Klahoose-Sliammon, and Ay’ajuthem, among other labels. We can notice that “Comox” is pronounced <COmox> [‘komaks] in English, and the Kwak’wala word starts with the popping ‘ejective’ consonant [k’]. The Chinook Jargon word is [‘kamuks] or [‘kamuksh], with plain old [k]. (Give the vowels their Italian pronunciations.) So this is a bit of evidence to show there’s no connection with ‘the Jargon’. The takeaway: “Comox” is not Chinook Jargon.